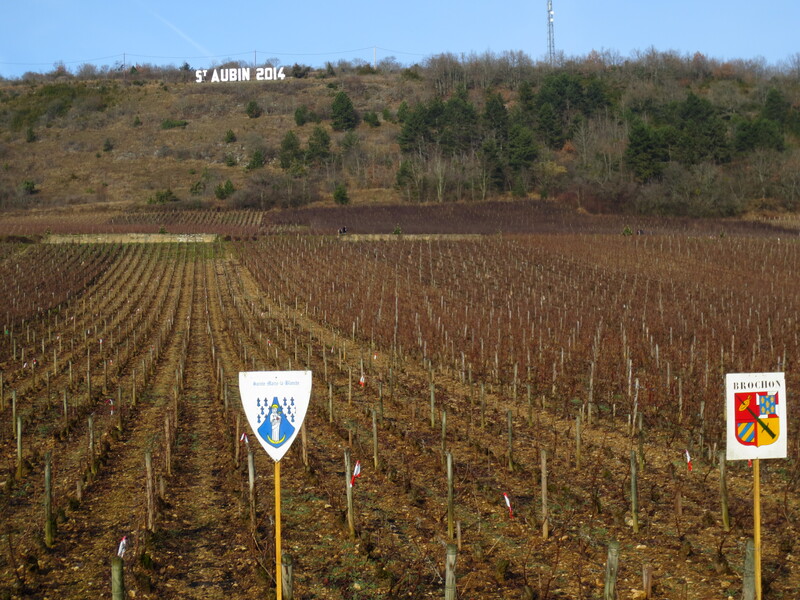 This entry was posted in France and tagged Burgundy, research, science, terroir by Alissa. Bookmark the permalink. This is a fascinating discussion. Thanks for sharing it. It seems to me that if two self-contained systems are indistinguishable at time T1, but distinguishable at time T2, there must be SOME physical difference between the two which is eluding detection. I am a naïf in wine science (and so much else), and I wonder if differences in micro-organisms and/or their enzymes might escape detection by your assays and be a cause of the differences at T2. Thanks Eric – yes I think that there are most certainly physical differences, but they remain, for the moment, uninterpretable, buried in the 95% of compounds seen on FTICR-MS that are, as yet, unidentified in the wine/grape/must model. Your proposal of micro-organisms is an interesting one, though I think that their enzymes are more likely to be responsible, as wine *should* be microbiologically stable (ie more or less sterile) at the moment of bottling.. but yes – very possible that terroir differences, however they’re revealed, are more of a function of microbiological differences between sites than differences in grape composition. This would certainly explain why in the grape and must samples, no location-based differences were found in this study.. There is a detectible chemical difference at T2 and T1. Either, I speculate, chemicals present at T1 have (cleaved or bonded and thereby) achieved a lower energy state by T2 spontaneously, or via enzymatic action. I know that for animal enzymes, there is an ideal temperature for their activity. For humans and other mammals, it is near 37 degrees C., of course. But the higher the temperature (ex vivo, where the enzyme cannot be replaced) the more rapid the degradation of the enzyme. Thus, as one raises the temperature from below ideal to ideal for reaction rate, there is an inevitable trade-off between the amount of reaction per time and its duration. Is there an ideal temperature for the enzymes in grapes and their micro-organisms? I suspect so, but don’t know. I suspect that that ideal temperature for them would be well below the ideal temperature of mammalian enzymes. I also suspect that the temperature-degradation curves for those enzymes would be no different from those of mammalian enzymes. (After all, the chemical bonds of between amino acids in a mammalian enzyme are no different from those in plant or micro-organism enzymes. A protein is a protein.) Therefore, I speculate that if there are enzymes present in wine, they could remain active longer at their ideal temperature than mammalian enzymes could remain active at their ideal temperature. Lotta speculation there, I see. I wonder if adding an irreversible broad-spectrum enzyme inhibitor (or perhaps a protease) to the wine would block the changes occurring between T1 and T2. If doing that did not prevent the change, you’d have good evidence against the role of enzymes. But for all I know, this experiment has been done decades ago. Eric – thank you for your thoughts!! Contrary to your concern about appearing like you think you know more than the enologists, I think you bring up a very interesting point here, and one on which very little is known. I had to spend some time confirming today, because I had never even heard anyone talk about enzymes in finished wine today, and it turns out that this is precisely because very little is known. Grape enzymes and their role in grape juice are fairly well understood, and pectolytic and other enzymes are often added during the winemaking process to help with settling of solid matter, color extraction, etc. The work on finished wine, however, is relatively limited. It is primarily limited to the proteins that are of enological importance – notably those that cause protein haze (literally causing haziness in the – usually white – wine which, while harmless, tends to be quite disconcerting to consumers), and thus winemakers generally aim to eliminate them at a maximum. 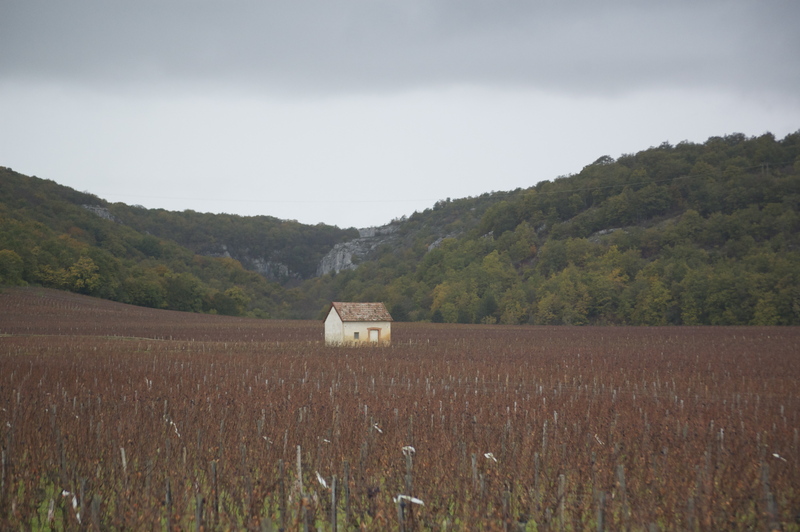 We know that the primary proteins involved in haze come from grapes – notably pathogenesis related proteins formed as a stress response by the vine – and are mostly eliminated by fining with Bentonite, a clay that, at wine pH, electrostatically interacts with proteins to pull them out of solution. Alissa, thanks very much for the thoughtful discussion. I agree with you that the main import of this study is in demonstrating that something is happening in the bottle; that’s interesting, though I’d say it isn’t very new nor specific enough to add (I’ll hedge here and say “much”) new knowledge to the field. As a starting point, it’s great. In speaking of this operating definition of terroir, by the way, I’m not so much criticising the definition (I’ve written about this a bit at Palate Press, and my February article for them coming out next week addresses it head-on) as I am pointing out how it limits the scope of what this study can say: “something is happening in the bottle (but we don’t know what) related to something that happens with the wine (but we don’t know what). Again, as a starting point, nice; just, from my outsider’s perspective, no more than that. You’ll get me to agree any day that the knowledge shared in a published article is (for all sorts of very interesting reasons) a far cry from the knowledge held by people in the lab out of which the article is published. You adore my PhD concept, and I adore the concept of your Masters. What a fantastic idea to study wine — both as science and as art — in these different cultural and institutional contexts! I’m interested to know about the direction in which you next plan to take this experience. Thanks for your response, Erika. I think that it is *potentially* new and different, as here the changes seen in the bottle may be revealing some differences present since the ‘conception’ of the wine – in the vineyard – that are not seen earlier. And, of course, this paper, as so many that turn out to become key, is primarily a methodological one, demonstrating the power of FTICR-MS and corresponding statistical analyses to study changes/differences in wine samples. But yes – it is all definitely a starting point, and a long road lies still ahead to unlock the potential of what all can be learned from analyzing wine in this way! As for the direction in which I go next, also a great question, and one which I am in the full throes of debating. A good chance that I am headed toward an oenological chemistry PhD, but I want to find a way to integrate these questions that I raise on the blog – questioning science, its relationship to art, etc etc., so that I remain capable of seeing the the forest for the trees, if you will, and not becoming so caught up in the minutiae of research that I lose touch with some of these bigger, meta- questions… in short, TBD.